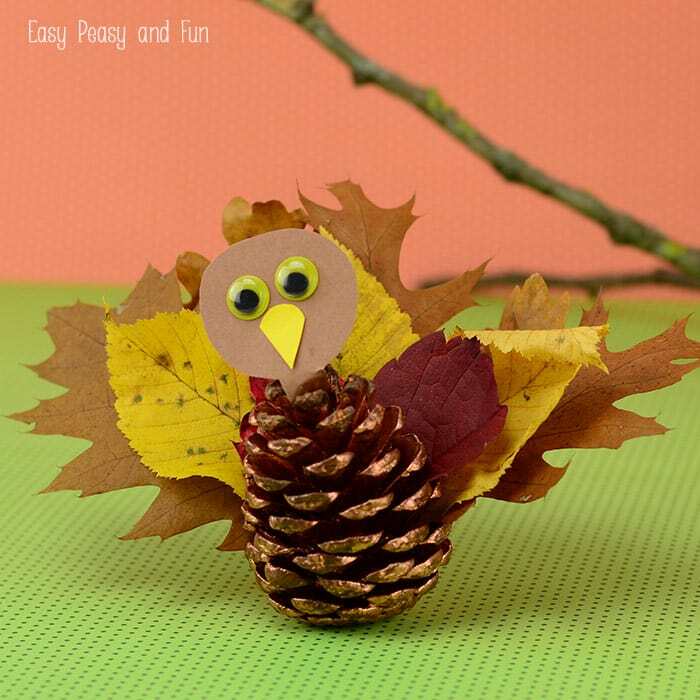 Turkey crafts continue and this time we made a leaves and pinecone turkey craft! 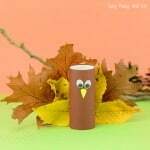 If you haven’t yet seen our toilet paper roll turkey do check it out as that one too utilises materials from the nature. Star by picking out a nice pinecone that can stand on it’s own. Pick leaves of different colors and sizes and cut their petioles (leaf stalks) – this will make it way easier. Start with the largest leaves. 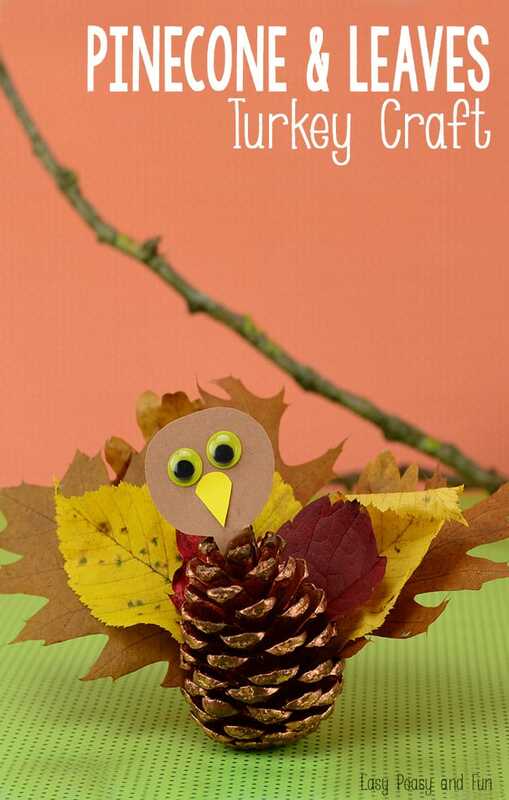 Add glue to the bottom part of the leaf and slide it into the opening in the pinecone. Continue until you make a turkey tail arch. 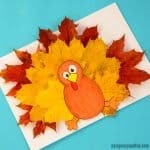 Continue with smaller leaves and slide them into the openings (a level “higher”) than with previous leaves. We had 3 colors and sizes of leaves so we filled 3 “levels” of pinecone openings. 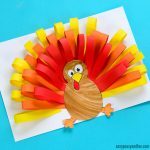 If your turkey becomes a bit wobbly because of the leaves (ours didn’t but I got the feeling it could easily become if the pinecone would be different) you can make a stand for it from playdough. 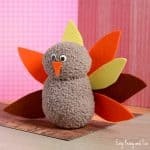 Cut the round shape with neck from the brown paper and add googly eyes and beak. Add glue to the “neck” area and slide it into the top of the pinecone. Loved this one? 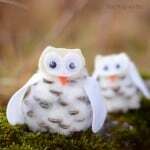 Why not make pinecone hedgehogs too? 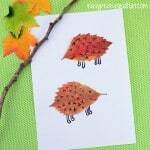 Or maybe leaf hedgehogs – super easy to make and look adorable.